Ester Nilsson is a complex woman who has been frequently discussed in newspapers, social media and various columns. She sometimes appears rational, verbal and intellectually sharp, and at other times irrational and immature. Ester is a poet and essayist. Although she is smart, she shows surprisingly little self insight and low self-esteem in some situations. Her personality comprises both a strong common sense and intense emotions. She is not credible, some claim. Others find it easy to recognize themselves in her. Ester herself would like to understand life, and accumulate all the available information, in order to gain new insight. When she believes that she has found all the parts of the puzzle, she discovers that they don’t fit together. Ester doesn’t manage to see herself. She distorts what she sees, in order to make it fit together with her ideas and convictions. She interprets everything she experiences in the distorted way, especially when she is in love. Ester demonstrates her internal logic in this situation and lets the reader take part in her reflections. These may seem trustworthy, but are driven forward by her strong needs. She appears to be stuck in her response pattern. Thus, the improbable is made probable. Even with clear feedback from friends, she is incorrigible. In situations where most others would be ashamed and self-critical, Ester interprets it in a self-deceptive way that supports her self image. This is associated with her need to interpret the world in her own perspective, especially regarding her future life with a partner. She takes this very seriously. Ester is created by the Swedish author Lena Andersson. 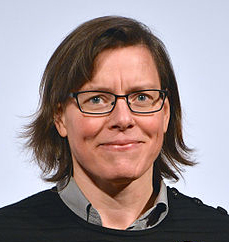 The first book, Wilful disregard, published in 2013, received positive reviews, and Andersson was awarded the August Prize. In 2014, the second book about Ester was published, Without personal responsibility, another great success. The topic may seem conventional and trivial, but Lena Andersson’s description of Ester’s desperate and sad situation with humour and clarity of thought is fascinating. 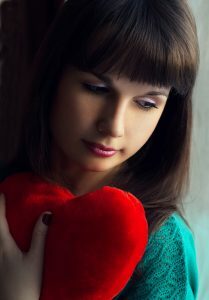 Ester falls in love with ”impossible” men who don’t want her, although they are flattered by her attention. She is the focus here, although a lot might be said about them, as well. She is always ready to interpret everything he says and does, as expressions of his approach to her and their common future. We do not know anything about Ester’s background and vulnerability. According to the Norwegian family therapist Sissel Gran, we can imagine that her father was distant, self-centered and behaved like he was a scarce resource. Since Ester from early on had to struggle and adjust to get attention, this impacted her romantic relationships later in her life. Thus, a partner who behaves like a trophy, unavailable, ambivalent and unpredictable, but tender and warm at times, triggers her attachment needs and makes her vibrating; always ready. She misinterprets her chronic tense state to be an expression of her love. This cannot go well, of course. After the first failed attempt, five years pass by, and Ester is again ready for a partner. This time the relationship – which is no relationship, lasts for more than three years, before Ester must admit the failure, and let go. Likewise, this booklet points out how we easily come under the influence of underlying psychological patterns, having effects on our interpretation of our daily life as well as our meditation, and how this may prevent us from moving beyond current limitations regarding understanding and development. Thus, our repetitious patterns, misperceptions and self deceptions remain unchanged. I suddenly saw Ester more clearly – much of this was her. And as we all know, it is easier to see blind spots in others than in ourselves. Ester was convinced: He really wants me! She was stuck in this perspective. Just like with meta-thoughts, her perspective seemed obvious to her, and she was unable to see beyond it. It was so convincing that all doubt was gone: when he claimed that he did not want her, she felt sure that he really wanted her. He just needed to understand it, and she must be patient with him. Several years passed by, and she developed an intricate defense system to protect her vulnerable and longing mind. She repeated the pattern her friend saw so clearly, but it wasn’t clear to her. Ester thought: every time is different. Blind spots are blind. We do not see them. Sometimes we notice that we may stumble into the well known, for instance to feel that we are being challenged or criticized. The blind spots make us repeat some of those patterns we are bored of and make us distort the reality. But if we neither notice it, nor listen to feedback from others, what then? Is there any hope for Ester? And is there any hope for us to see beneath the blind spots and see what it takes to change the patterns we have developed defense strategies to protect? It isn’t easy. In the meta-thought perspective, we are not good enough. Meta-thoughts see life as impossible to live up to. Their origin is in the part of our personality that governs what we think about our meditation, our self and the world. Meta-thoughts reflect an ideal and indicate that we should compare with someone who is better – something to strive for. The meta-thoughts’ perspective is also an obsession: It is never good enough! You will never be good enough! You must be better! Meta-thoughts whip us and make us struggle more in order to avoid the feelings of incompetence and inadequacy. Even though Ester interprets and sees possibilities in the impossible, she is governed by her discontent and insecurity. Ester is an analytic person. But that does not help much when her analysis is part of her locked-up perspective. She strongly protects her world view. Why does she choose men who don’t want her and are mainly preoccupied with themselves? She appears self-effacing. Her friend asks: Where is your pride? It is tragic, but also comic, to see an obsession described in this way. Side up and down Lena Andersson succeeds in varying the situations, the communication, the viewpoints. If we see our repetitious patterns, we may of course respond with self irony. It may be a relief. Again! At other times, we are resigned: Will I never get beyond this? Does meditation help? Would Ester have benefitted? Might she develop a clear understanding of how meditation is supposed to be, and would she struggle with the meditation sound when it weren’t as she expected? Would she seek meditation guidance when she felt that she no longer got much benefit from it? Would the guidance help her to see that she used too much effort with the meditation sound and that she was goal-directed? Would the guide ask whether she might possibly do something a bit different, whether there were alternatives, whether she might let go of her ideal and accept things the way they were? Would the guide in addition ask whether she could recognize that she was stuck in a perspective, or that things should be in a specific way? Would she then associate or draw parallels to her relationships? Would more freedom in her meditation make her relate differently in her life, be less stuck in a relationship? We will never know, because that book is guaranteed never to be published. We will have to stumble further on among our blind spots, and hope that daily meditations and long meditations with guidance from time to time gradually change some of our repetitious and limiting response patterns. Thank you Eva. A good read this morning after my meditation. I have found that the more I let go into a certain acceptance of the way my meditation is, rather than how I feel it should be, so more freedom of thought and action comes into my daily life. Maybe you should write that book about Ester learning Acem!